Barely 50 years ago, the first Willamette Valley Pinot Noirs were released. A 1980s guide to Oregon wine listed just a couple dozen wineries statewide, many long gone. Today, Oregon has close to 800 wineries, and Pinot Noir continues to star in that success story. Although the Willamette Valley vineyards remain the standard bearers for quality, Pinot Noir is grown all over the state, from the warm-climate vineyards of Southern Oregon-source for many of the inexpensive, fruitier styles-to the cooler Columbia Gorge. It's rare that any wine region trumpets how costly their wines are. Here, however, it's a mark of pride. These are not inexpensive wines. Oregon wines overall have an average bottle price of $16.07-compare that to $9.76 for Washington wines and $6.68 for those from California. 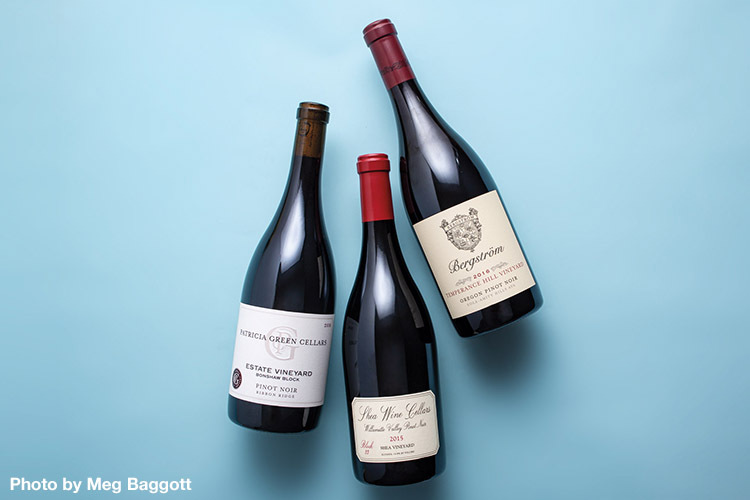 But make no mistake: Pinot Noirs from Oregon deliver fantastic value-for-quality when tasted against bottlings from California and Burgundy.